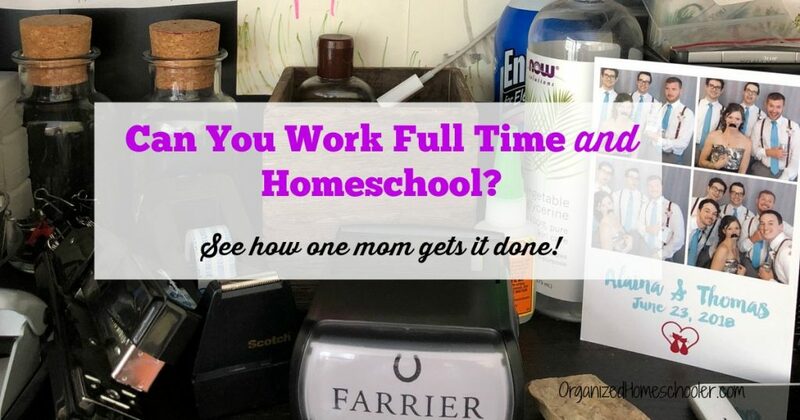 Is It Possible to be a Working Homeschool Mom? 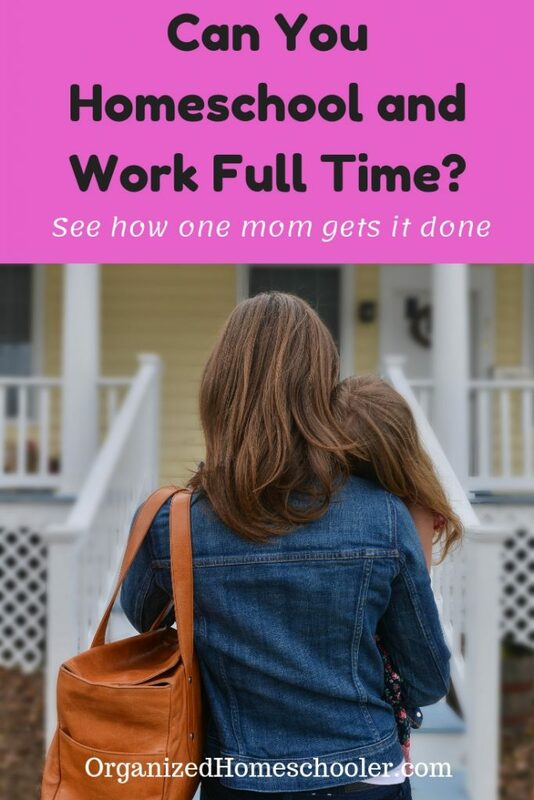 Is it possible to be a working homeschool mom? Yes! What if she is also the majority caretaker of the child or children? Yes! I’m sure it isn’t easy, but it can be done, and I have seen it done well. 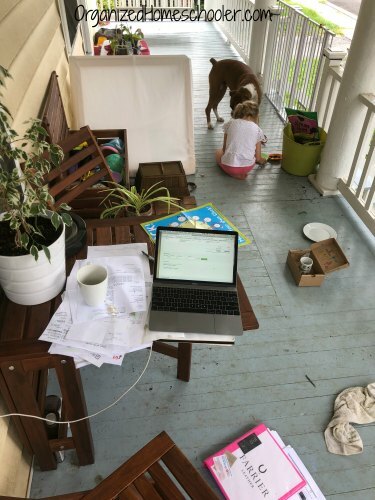 Let me introduce you to a working homeschool mom who impresses me every single day. 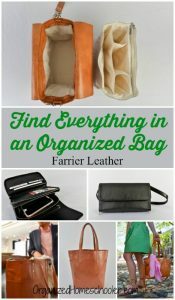 Janet started Farrier Leather, a line of handbags and accessories that uses only leather sourced from grass-fed cows and fairly paid labor, while also homeschooling her daughter and being the primary caretaker. I can’t imagine this is an easy task, but Janet pulls all of thesetasks off beautifully. I wanted to offer some help and encouragement to working homeschool moms and Janet graciously agreed to be interviewed. My name is Janet. 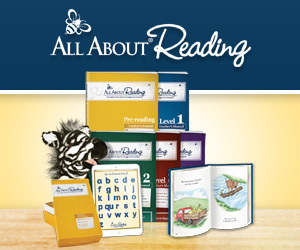 I’m a 34 year old working, homeschooling mother in the DC Metro area. I am a handbag designer, business owner, and consultant for responsibly sourced animal fiber. 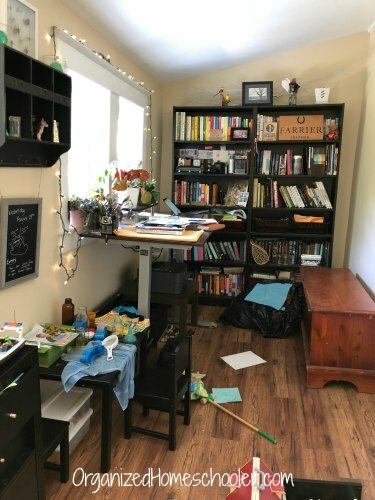 The decision to homeschool did not come lightly. There were so many reasons why we decided to. Mostly, my daughter is a total free spirit. Like most young children, she has a massive imagination and an intense level of curiosity. It’s a little early to tell, but she seems to be an introvert. She LOVES people. Loves being social and around other kids. But it exhausts her. I read a lot about various educational models early on and the benefit of public schools & private schools. I read about the history of why public and modern education came about and what goals they were looking to achieve. I did not want to force my daughter to conform to societal norms that she was not naturally inclined to. I searched for schools in my area that we might be closer to the self nurturing & individual led environment I hoped for her. But there were none. Those that were close, that maybe I could make an exception for… they all had a focus on technology, which we personally chose to keep her away from as long as possible. I think really, it came down to lots of research and lots of observation and the strong belief that each child, each person, has different needs and different ways of achieving a fulfilling life. How would you describe your homeschool style? 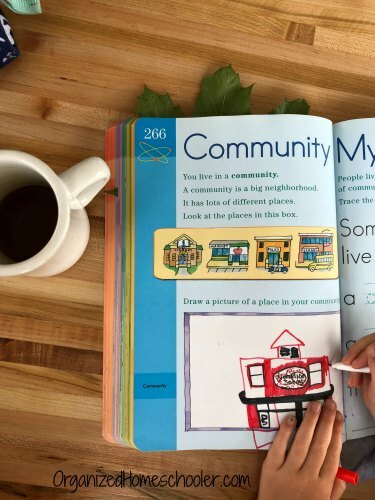 Our homeschool style leans heavily on the unschool side of things. I’m not a fan of the term unschooling. People tend to assume that means you don’t do anything at all. And I think in reality, unschooling is a very wide spectrum of involvement or structure. For us, it mostly means I pay close attention to what my daughter is interested in, is talking about, and the themes of her pretend play. I use her interests as a guide. From there I research on my own time books or stories, groups & events, or ways to further facilitate those interests or themes. She determines the focus and I use that focus to pack in as many lessons as possible. I can find a way to cover all traditional subjects without her ever feeling forced. No worksheets, no tests, no traditional assignments. Only activities, tools, and attention. She really liked bugs when she was little, like most 4 year olds, she was digging for worms, holding roly polys, or watching the ants on the sidewalk. When she started bringing them to me and asking detailed questions about them, I knew she was really into them. I read her fiction & non fiction books on tons of bugs. We took classes geared around bugs at the nature center. We joined a local youth entomology group, went on field trips, started collecting and pinning specimens. I even let her keep a jumping spider as a pet. She named her Rainbow. Rainbow taught us both a LOT about the tiny creatures and what they needed and how they fit into the ecosystem. A serious intro into Biology with side lessons everywhere! Through something as simple as liking bugs, she learned about how all living creatures fit into a bigger picture. How important each species is, (even mosquitoes). She found understanding in biological classification through anatomical differences, understanding the food chain, identification and scientific processes. When Rainbow died, as spiders do, I re-read her Charlotte’s Web. We learned about life and death. How everything that lives eats, and is eaten. And how everything that lives dies. And in death, there is life. She buried rainbow underneath a violet plant in our backyard, and without prompting described to me how rainbow would decompose into the soil and the atoms that made her up would go on to be part of new life. So much wisdom and understanding in such a small human. We now own a Madagascar Hissing Cockroach named Jenny. Ah. Ok, where were we? Our days vary so much, but also still follow a basic structure broken up by lunch. We have one focused activity which varies between morning or afternoon and ALWAYS keep one day open. Which saves both our sanity. 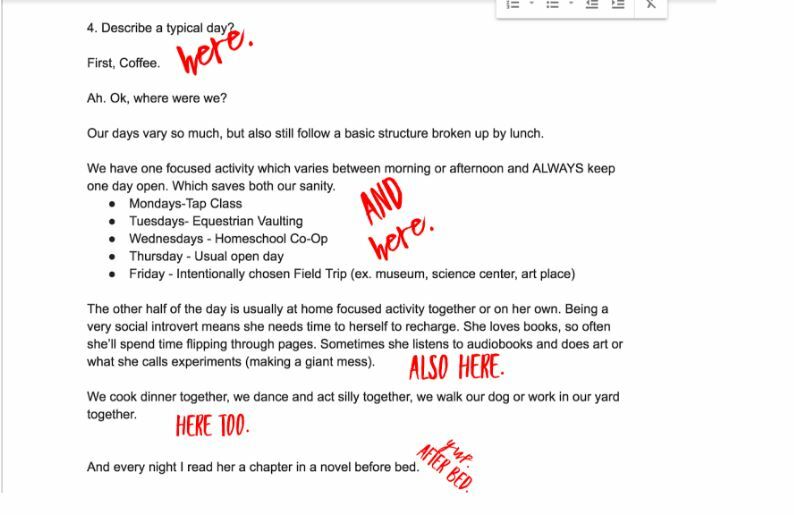 The other half of the day is usually at home focused activity together or on her own. Being a very social introvert means she needs time to herself to recharge. She loves books, so often she’ll spend time flipping through pages. Sometimes she listens to audio-books and does art or what she calls experiments (making a giant mess). We cook dinner together, we dance and act silly together, we walk our dog or work in our yard together. And every night I read her a chapter in a novel before bed. Remember above where I said I am a designer, business owner, and consultant too? You might be wondering when and how I do the above and work. Where is your daughter while you work? The honest answer is she’s always with me. Because our days are somewhat fluid, my hours at work are too. I usually start with emails and social media correspondence while I make and have coffee. Emails and research continue throughout the day. I squeeze calls in during car rides or schedule them for when we are home or she is in an instructional class. She goes to business meetings with me some days. And others she does her crafts while I do leather work or order fulfillment on our kitchen table. Sometimes I worry that she feels dismissed or put off too much during the day, but then I see her making a store and creating things to sell to the people who walk down our street. (One Sunday she made $15!) And I remember that if she were to go to a conventional school, she would be gone for +6-7 hours a day. The lessons she’s learning from being exposed to watching her mother create and work everyday are invaluable. Not only is she getting a basic understanding of business, but work ethic and assessment of risks and the ups and downs of succeeding and failing. Clearly the coffee shop is her second home haha. Shout out: All the thanks and love to the staff at Northside Social! How do you have time to work and teach and cook and clean . . .
It’s all about prioritizing in the moment. I have found that no matter how hard I try to implement a routine or schedule, life has this way of throwing unexpected things in the mix at the worst times. Work is always project & deadline dependent. I work a lot, and randomly. I’ve struggled with feeling both under and over worked. I clean when things reach a point of driving me insane. I have learned to let go of clean baseboards. I do laundry ALL THE TIME. When I’m home, I’ll start, switch,or fold a load. I took the pressure off to make that a set time task. When the towels pile gets high, it goes in. When I run out of underwear, time to do a load of delicates. When the dog throws up in her crate, it’s all the pet stuff. Cooking is pretty important to us, so I try to prioritize that a few days a week, make excess and fill in with leftovers when possible. We have dietary restrictions and that means eating out isn’t much of an option for us. We focus on variety and quality most of all. I also use cooking as lesson time. We talk about fractions and basic arithmetic. We discuss temperatures and chemical reactions. We discuss nutrition and she learns what makes her feel best. I let her cook a lot, even though on occasion it’s inedible. She learns self care, and with food being a basic need, she’ll know how to fulfill that on her own. What is your number one tip for working homeschool moms? Basically, I’m still a work in progress. But aren’t we all? The most important thing I’ve learned and am still learning is to understand my own feelings and take care of myself. When I start to feel tired, I need to stop and think about why and how to rest. 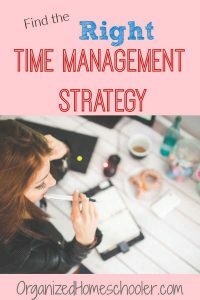 When I feel overworked, I need to stop and assess my own free time. And a big one…When my daughter and I are not getting along, who is feeling what and how do we address those things. I’ve learned to let a lot of things go that are less important. Sometimes I find myself struggling with the paw prints on the floor or the above mentioned experiments all over the house. And when I feel like I’m at a breaking point. I stop everything, clean up or care for the thing bothering me most, and resume. This is our office in all its normal glory. I could send you a photo of it cleaned up, but the reality of learning is this beautiful mess. Her self directed chemistry and botany experiments cover her table while toys, leather and tools cover the floor. My desk, believe it or not has some organization to it. Ha ha. The bookshelves are full of both of our books, files, paper, artwork, & memories. As much as I look at Pinterest worthy offices, who could beat shelves full of photos, fossils, and home-made gifts. My daughter’s father is massively supportive. 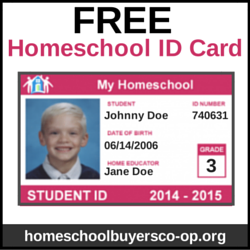 Homeschooling was a decision we reached together. When I need that break day to take care of work, myself, or deep clean my house (self therapy), he is happy to assist in any way he can. We discuss issues as they arise and work together to brainstorm solutions. He’s an incredible father, role model, and partner in raising our daughter. My best lady friend is incredibly supportive. Even though we are pretty different in many ways, she will be there to listen when I cry on the phone or on her living room rug. She will ask me questions that make me think and always reminds me to take care of myself when I inevitably forget. My best mom friend, Karen. Karen is that mom friend who texts you news articles and inappropriate random internet pictures at all hours of the day. She’s the one who, without judgement, questions your parenting decisions in a way that is supportive, but helpful. She checks on you personally and let’s you ask her about life’s obscure personal problems. We joke about how breast milk cures everything and talk deeply about the hard things happening in today’s world. Co-Op. Man. I love co-op for the simple fact that we’re all sort of figuring out this homeschool thing one week at a time. Things are always changing, the kids are always growing, and we are always the decision makers, researchers and facilitators. It’s amazing how just not feeling alone can do so so much for your mental health. Hearing other’s ideas and methods, even though they are different from yours, invaluable every single time. Isn’t she amazing? She created a company while caring for her daughter and creating fun interesting lessons personalized for her daughter! 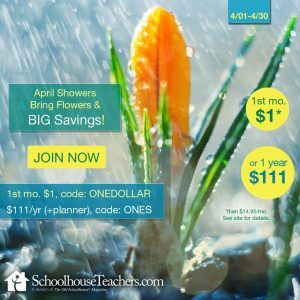 Are you a homeschool working mom? Leave your tips in the comments!